This book makes a valuable contribution to current debates on the environmental histories of the Polar Regions. It covers the period from initial Arctic exploration by Europeans to the modern economic and research activities, and policymaking efforts conducted in both the Arctic and Antarctica. This book will be of interest to environmental historians, conservationists, area study scholars, and those interested in the history of polar exploration, development of environmental thought, international frameworks for environmental protection, climate change, and sustainable development. Howkins’ key arguments are as follows. Firstly, despite the fact that the Arctic and Antarctica are different in many ways and located at opposite poles of the planet, the two regions have more in common and are more closely connected than we normally think, hence they should be studied together. Secondly, the environmental histories of the Polar Regions offer opportunities for thinking about important global issues, such as resource exploitation, the militarisation of nature, conservation, and climate change. Thirdly, the Polar Regions are characterised by contrasts and contradictions, consideration of which can contribute to the ways in which we think about the environment generally (p. 5). The book consists of an introduction, six chapters, and a conclusion. Each chapter contains a collection of stories and cases fitted under a title reflecting “a dichotomy of contradicting ideas” (p. 17), comprising: Lands of Darkness and Light (Introduction); Myth and History: The Polar Regions up to 1800 (Chapter 1); Scarcity and Abundance: Marine Exploitation (Chapter 2); Nature Conquered, Nature Unconquered: Polar Exploration (Chapter 3); Dreams and Realities: Economic Development (Chapter 4); War and Peace: The Cold War (Chapter 5); Exploitation and Preservation: Environmental Conflict (Chapter 6); concluding with Geographies of Despair and Hope. Each chapter explores a given theme through a review of the relevant literature; discussion of historical cases and narratives; and examining events, specific areas/locations, and groups/personalities. The environmental history of the Polar Regions is told through stories of exploration, colonialism, imperialism, exploitation, competition, collaboration, and the formation of international conservation agreements. Exploration of both Polar Regions was driven by economic interest in exploiting their bio-resources and discovering new navigable paths and trading routes. Exploration of the Arctic started earliest, and as its biological resources became depleted the nature of the extractive economy dictated a search for new whaling and sealing grounds which directed interest towards Antarctica. During the ‘heroic’ period of polar exploration, both regions attracted competing teams of explorers driven by the spirit of discovery and adventure. During the Cold War, the competing military blocs pursued militarisation of the Arctic, while Antarctica remained a military-free zone. Nowadays, the environmental history of the Polar Regions is shaped by energy projects, the effects of climate change, industrial and infrastructural development, and growing tourism activities. One of the key concepts which describes such economic activities and demands a coordinated response is the “tragedy of the commons” (p. 46). The profit-driven behaviour of individual agents who have little incentive to protect an open-access resource leads to resource depletion and environmental degradation, with subsequent decline or total loss of profitability. To avoid such outcomes, agents must coordinate their actions, for example by introducing fishing or hunting quotas. The success of the Antarctic Treaty of 1959 provided a precedent by “creating a structure through which environmental problems could be discussed and environmental regulations put in place” (p. 143). Another example of successful international collaboration discussed in Chapter 5 is the moratorium on commercial whaling, introduced in 1982. While considerable attention is paid to the history of polar exploration, protection of marine life and biodiversity, and the development of related international treaties, less attention is paid to other aspects of Polar Regions that could be considered significant parts of polar environmental history. For example, little attention is paid to industrialisation, urbanisation, development of transport infrastructure, or off-shore energy projects. In recent years, the increasing navigability of the Arctic has generated much interest, among the Arctic and non-Arctic states, in the prospect of alternative shipping routes that would connect ports in Europe and Asia. The commercial viability of Arctic shipping raises questions about national regulations and international regimes, which may be necessary to prevent accidents and address their environmental consequences. The Russian government is looking to revive the role of the Northern Sea Route (NSR) as Russia’s national thoroughfare and to explore its commercial viability for international shipping. As Russia’s old oil and gas fields lose productivity, energy companies are looking to explore deposits located further North, including on the Arctic shelf. Transportation of oil and gas to customers in Europe and Asia increasingly relies on Arctic shipping, which raises concerns about the possible environmental impacts of these activities. Energy exploration and transportation (both maritime and terrestrial) are crucial risk factors in the Arctic environment. While The Polar Regions is driven by this rich material, it seems to lack an overarching conceptual framework, a leading research question, or a clear comparative methodology, which would have appealed to readers with a background in political science or policy studies. Although the book remains a collection of stories, they form a holistic image of the Polar Regions as interconnected and dynamic, yet at the same time environmentally fragile and central to the future of the planet. According to Howkins, “physical, intellectual, and political connections with the rest of the planet mean that the Arctic and Antarctica are not ‘poles apart.’ The environmental histories of the Polar Regions have much to contribute to our understanding of contemporary environmental problems” (p. 187). In Polar Regions, “positive environmental outcomes have emerged from some of the most serious threats to the polar environment” (p. 185). This makes Polar Regions places full of hope and opportunities for collaboration. 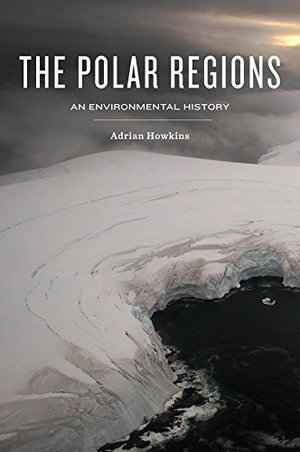 Nadir Kinossian: Rezension zu: Howkins, Adrian: The Polar Regions. An Environmental History. Cambridge 2016 , in: Connections. A Journal for Historians and Area Specialists, 12.01.2019, <www.connections.clio-online.net/publicationreview/id/rezbuecher-28737>.